Most Packard afficianados have heard the tale of the proposal to rebadge the Facel Vega Excellence as a Packard. 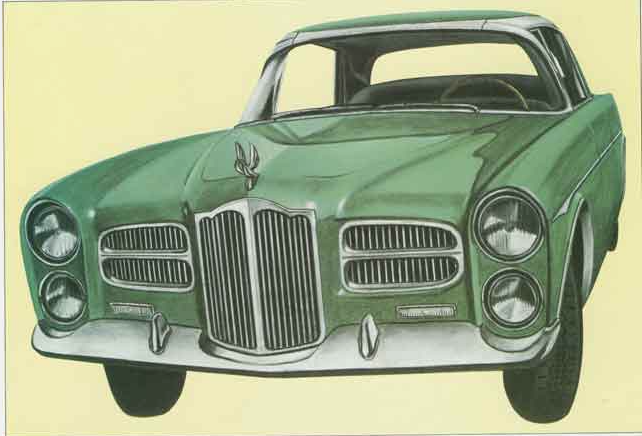 While Jean Daninos, father of the Facel Vega, said he was unaware of such a proposal (although he never said he would have been opposed to it), the rumor continued to surface in numerous places over the years and made it into print in some of the very few books printed on the Facel Vega. A couple of them even showed artists renderings of such a car. It was undeniably handsome, but whether or not it could ever have succeeded as a Packard is certainly a debatable point. Anyway, as the story goes, Studebaker-Packard at that point had a marketing contract with Mercedes-Benz, who supposedly did not want a competing car to their own in S-P showrooms so they discouraged the deal . . . If there ever really was one. And that was that. Or was it? In the early 1960’s I was working as a lot boy (one of my first jobs) at the local Studebaker-Packard / Mercedes-Benz dealership here in Syracuse, NY . . . A. Robert Perry Sales in the valley area. As I recall, they also sold Jeeps, in the pre-AMC days. 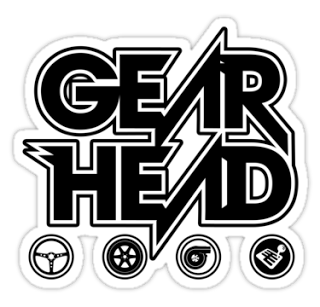 I distinctly remember a meeting back in the new car prep area (which was rare enough, especially since that was kind of “my area”, and even rarer because no one asked me to beat it). Anyway, there were a couple of VERY interesting cars side by side in the bays. One was a new Mercedes 300 “Adenauer” pillarless hardtop, which I knew was in the Mercedes-Benz line (I “gathered”a lot of dealer catalogs, which thankfully I still have). To the best of my knowledge we had never sold one new, they were well over $10,000 and pretty old-fashioned looking, although beautifully made. They always struck me as a German Rolls-Royce. Next to it was a low-slung 4-door pillarless hardtop with suicide doors and tail fins, unlike anything I had ever seen before. It had stacked headlamps, an upright grille, and red hexagons on the wheel covers. I thought for a moment that it might be a factory prototype of a new Packard, but the name was lettered across the deck lid – “Facel Vega”. The interior was out of this world, leather buckets, a huge console, and yards of wood. As you can probably tell, I was properly amazed. I found out through eavesdropping (hey, it WAS my area!) that the Facel belonged to a Syracuse University professor from France, and was one of the few in the USA and maybe the only one on the East coast at the time. It was a deep maroon with a black top, and black wall tires. Not all tarted up like some of those you see at car shows today. Anyway, there were a couple of gents from Mercedes-Benz there to look it over and they had mixed reviews. They thought the styling made their 300 look very old, but the suicide doors struck them as a huge problem for body integrity and stiffness. I would have certainly agreed about the styling if they had asked me (they didn’t- I was trying to stay invisible) but I thought the suicide doors were neat. As it turned out, they were right about the doors. I remember them saying that their replacement for the 300 was coming soon, and it would be everything the 300 was not and then some. This apparently was a reference to the forthcoming Grand Mercedes 600. In any case, both groups of executives (Mercedes-Benz and Studebaker-Packard) looked both cars over for most of the day, then left. The Facel Vega was driven back to its owner, who I heard got the use of a new Mercedes for the day although I don’t know which model. The M-B executives took the 300 with them . . . Just as well, as I said we had never sold one. So what does all this mean? 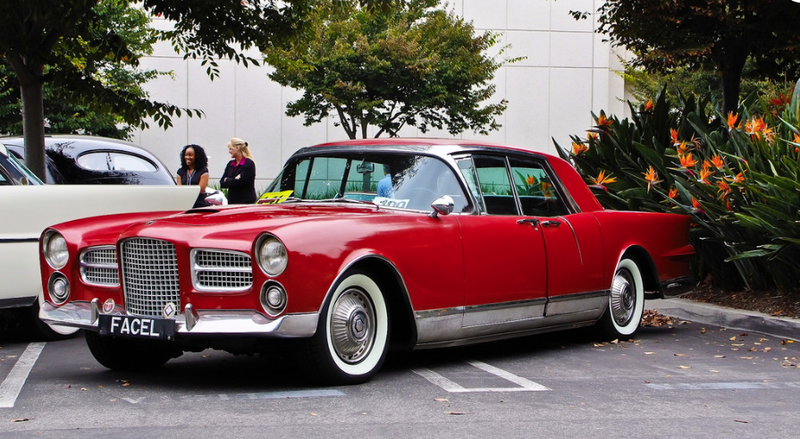 Was there actually a plan for Studebaker-Packard to market the Facel Vega as an updated Packard? Can it be just a coincidence that those two cars came together that day to be inspected side-by-side? And most importantly, why the hell hadn’t someone invented the cell phone camera 50 year earlier? I will never, never forget that day or the sight of that Facel Vega. As I said, whether it ever would have made a decent Packard or not, we’ll never know. But it sure as hell impressed me at the time . . . I remember the growl of its Hemi V-8 as it wheeled out of the dealership, and that raised a few M-B executive eyebrows as well. 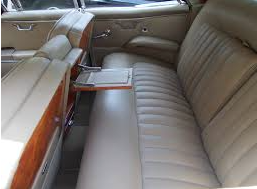 Well, yes, there WAS a plan to re-introduce Packard, based on the Facel-Vega Excellence. Although the author of the post quoted above wrote that the founder of Facel, Jean Daninos, was “unaware” of such a proposal, the fact was that there was a move to do just that: “Badge engineer” the Facel-Vega Excellence, fit it with leftover Packard 374 cubic inch V8s and Twin Ultramafic transmissions and market it in the U.S. as a Packard. And, Jean Daninos was all in on it. Studebaker-Packard, as we saw last week, had become the U.S. distributors for Mercedes-Benz. Churchill could do math and knew that Studebaker dealers would sell more Mercedes-Benzes than any revived Packard and he wasn’t about to upset that applecart! Thus the Facel-Vega project got as far as the planning stages, but no further. Not even a prototype was built. 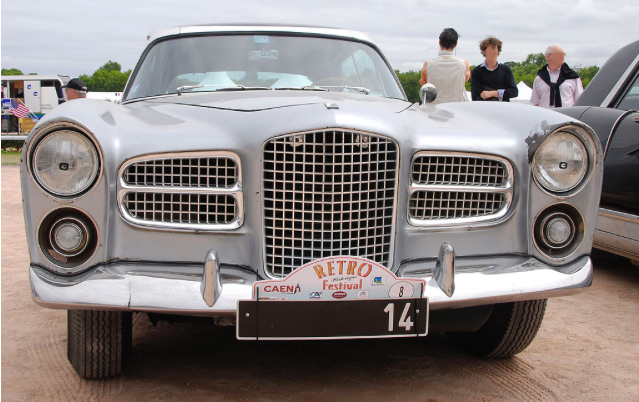 So, what was the Facel-Vega Excellence? The Excellence was introduced in 1954 and remained in limited production, with many running changes, until 1964. The only four door model Facel ever produced, the Excellence was quite handsome. Its styling could easily have been adapted to become a Packard. 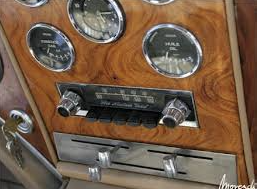 The Excellence was fitted with Chrysler V-8s and Chrysler Torque-Flite transmissions, so the idea of fitting the Excellence with Packard 374s and Twin Ultramatics was no stretch. When introduced, the Excellence had fins and a compound-convex windshield as was popular in the mid-to-late ’50s on American cars, never mind that this car was built in Paris. By the early ’60s, the fins and the compound-convex windshield were gone. The Facel-Vegas were popular with celebrities. The Excellence counted Ava Gardner, Pablo Picasso, Tony Curtis and Dean Martin among it’s owners. Jerry Mander’s Political Corner – Certified Organic Edition! Great story, beautiful cars. Dreams………… Nice to have… Woulda been great!!! That would have been quite an interesting machine if they had been able to pull it off. I don’t know enough about the Twin Ultramatic, but replacing a hemi with some leftover Packard engines seems making the car worse. 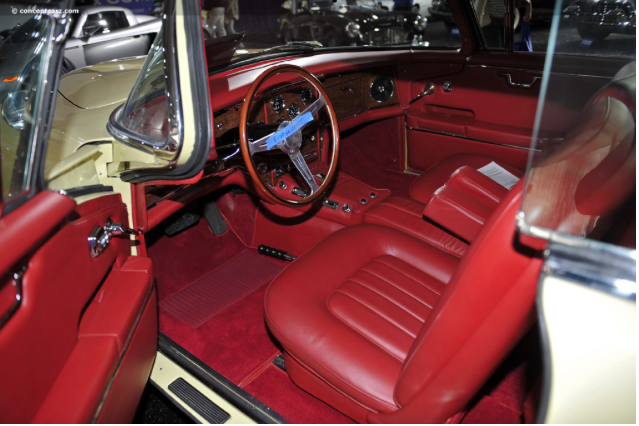 BTW, the Facel sedan had serious flex problems.